It haa a nave and chancel, and two aisles, affording accommodation for about 1200 persons. The interior of the church is wel executed and very beautiful, and great praise is due to Mr. R. C. Hakewill. the architect, for his design, and to the builder for his execution of the work. The exterior of the building is plain, and in the Early English style; the walls are of an squared stone. Previous to the opening of this church Divine service was held in a large building belonging to Dr. Williams, of Pembroke House, Hackney; and it is to that gentleman that South Hackney is also indebted for the site of its new church. The Diocesan Home Mission has carried on its work in South Hackney district for many years; numerous open-air services have been held there, and great endeavours used to make the supply of religious teaching equal to the increased number of the inhabitants. Considering that the benefits of the church are alike for rich and poor, it is gratifying to find that upwards of 500 free seats are provided in this new church, where those may take advantage of the services who yet cannot pay for seats. 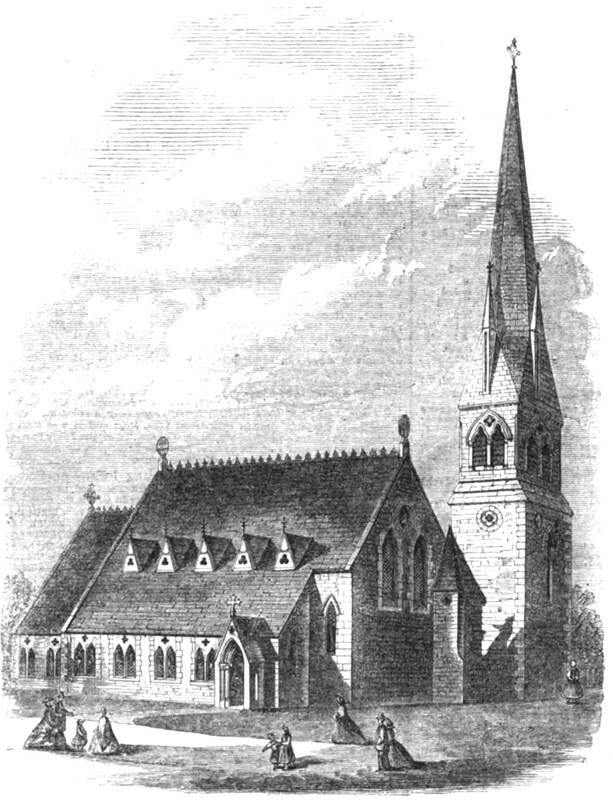 “Church of St. Michael and All Angels, Hackney.” Illustrated London News. 48 (13 January 1866): 52. Hathi Trust Digital Library version of a copy in the University of Michigan Library. Web. 26 December 2015. The text above was created from the page images in the web version with ABBYY FineReader.